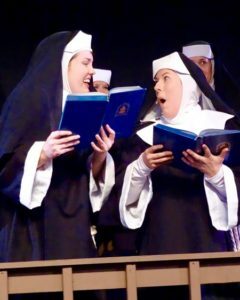 “Everything looks plain in black and white”, the saying goes, but add some sparkle, glitter, and a rambunctious lounge singer who just witnessed a cold-blooded murder and everything gets out of hand quickly in The Barn’s latest production, “Sister Act,” based on the hit Whoopi Goldberg movie. 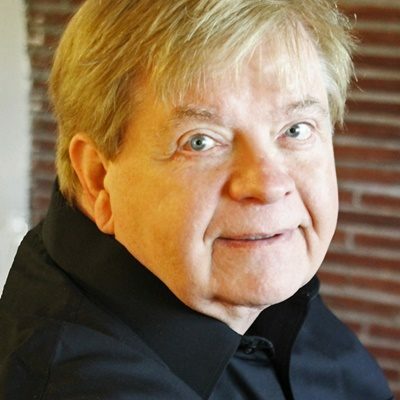 For this glitzy, habit-forming, musical comedy, The Barn slated top director/choreographer Guy Gardner to team again with musical director James Levy to produce this powerfully funny musical adventure that makes life inside a Catholic church sinfully funny. You see, up and coming vocalist, Deloris Van Cartier (a. k. a. Sister Mary Clarence) just watched her thug boyfriend unceremoniously shoot and kill a police informant in cold blood. Unless she escapes until after his trial, she could be his next target. 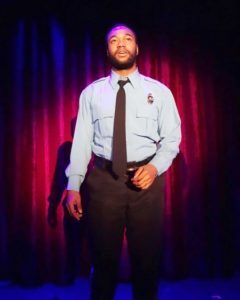 A high school acquaintance now serves as a police officer and Deloris falls under his protection until the trial, so he sends her to a church to be hidden among the nuns. Well, Delores’ personality cannot survive the necessary confines of the church and the Mother Superior and she spar daily with rules and the bending and breaking of rules until Deloris shows her expertise to the choir and propels them into a drawing card to attract the Pope to visit and see the transformation of the church since Sister Mary Clarence directs and sings in the choir. 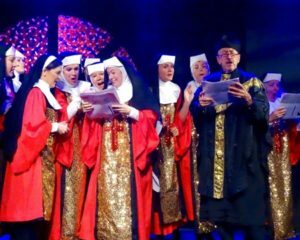 “Sister Act” just uplifts spirits from the opening song to the rousing finale. 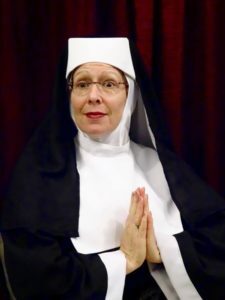 Count on a strong performance from the main characters, Allison Jones as Deloris, Ruth Baum Bigus as Mother Superior, Vicki Kerns as Sister Mary Lazarus, Nathaniel Rasson as Eddie, Graham Fairleigh as Curtis. Allison Jones in her Barn debut absolutely carries the show as Deloris Van Cartier. 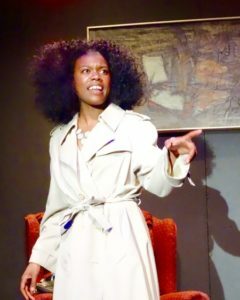 She oozes Deloris from the first beats of the show and absolutely charms the audience. And as for charm, Sweaty Eddie, Nathaniel Rasson also charms the audience with his bashful character and shy delivery. Ruth Bigus as Mother Superior disciplines Deloris a with love/hate relationship that demonstrates that love wins. 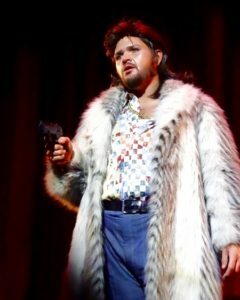 Graham Fairleigh chews up his stage time as the evil murder chasing Deloris. 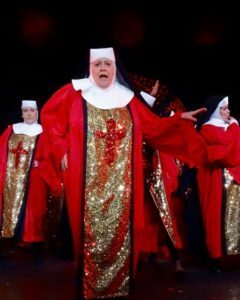 And, for comic relief, count on Vicki Kerns to give another fun character as Sister Mary Lazarus. Also watch for Julian Rivera who gets his first featured part in this, his third Barn production. 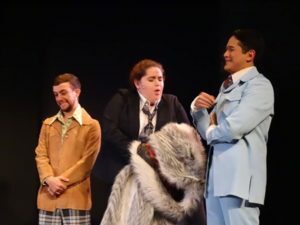 Another cast member whose vocals stand out belong to Ramsey Self who gets to belt her solo toward the middle of Act II. Self possesses a powerful clear soprano voice that surprised the audience from the quiet as a mouse character. Overall, the entire cast is fun and Gardner’s choreography keeps them moving all the time. That’s a signature element of Gardner’s productions. Musically, James Levy coached the cast to a beautiful blend of voices to fit the characters and his direction or the orchestra makes a small orchestra sound much bigger. 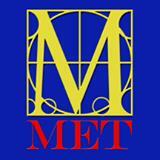 Great work on all aspects of the show, including sound, lighting, costumes, choreography, etc. 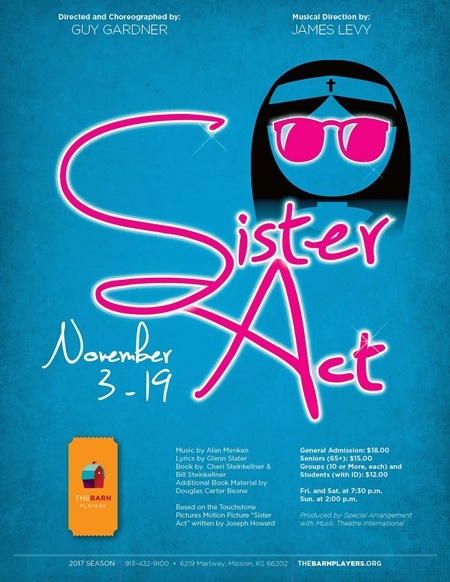 “Sister Act” positively entertains in a light-hearted manner. The show is void of strong language, adult situations, or deep, dark meaning. Expect fun–lots of it. “Sister Act” is wholly-moly fun throughout. Opening night was a sold out. Expect similar sell outs for the run. The cast is: Bridget Angles as Sister Mary Slay, Josh Arellano as Joey, Whitney Armstrong as Sister Mary Martin of Tours, Corinne Bakker as Sister Mary Tyler Moore, Nancy Berardo as Sister Mary Helen, Ruth Baum Bigus as Mother Superior, Debbie Blinn as Sister Mary Theresa, Renee Blin as Sister Mary Hadda LittleLamb, Emily Bridges as Michelle/Sister Mary Stephens, Graham Fairleigh as Curtis, Emmy Hadley as Sister Mary Christmas, Anne Hainer as TJ, Mason Hoyt as Ernie, Allison Jones as Deloris, Vicki Kerns as Sister Mary Lazarus, Nathaniel Rasson as Eddie, Joy Richardson as Sister Mary Isadora, Julian Rivera as Tina, Pablo, Craig Robinson as Monsignor, Natalie Rothusz as Sister Mary Poppins, Ramsey Self as Sister Mary Robert, Victoria Straffus as Sister Mary Patrick, Cassaundra Sutherland s Sister Mary Mack Mack. The production team is led by Guy Gardner, director/choreographer; James Levy, music director; Rebekah Grieb, stage manager; Jenny Knecht, costume designer; Valke Vignery construction lead; Amanda Albert, asistant stage manager/properties designer; Laura Blasi, assistant choreographer; Philip Kuzila, sound designer; J. Patrick Inlow, lighting designer; Alex Morales, graphic designer. 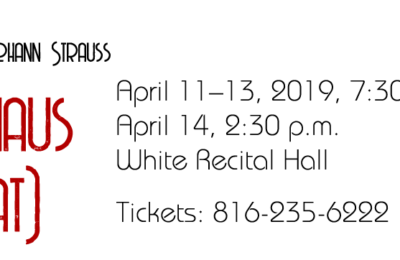 The orchestra is Marsha Canady, keyboard; Deana Wagoner, keyboard; Courtney McKown, keyboard; Rose Muldoon, reed; Joe Call, reed; Ron Mundt, reed; Andrew Beckstrom, trumpet; Paul Coreneson, trumpet; Lindsay Lanaman, trombone; Miguel Silva-Leon, guitar; Frank Annechinni, bass guitar; John Gilmore, percussion.